India’s economic development lags China’s by about 15 years, so it shouldn’t be surprising that it’s beginning to construct a high-speed rail network. The first line, connecting Mumbai and Ahmedabad via Surat, began construction at the end of last year, with completion targeted within four years; the two states served, Maharashtra and Gujarat, are more or less India’s two richest large states, and are also both deeply right-wing, with nearly every constituency backing Modi. There are some severe problems with the system, stemming from its use of turnkey Japanese technology. But more broadly, India’s geography is just difficult for high-speed rail, especially by comparison with other high-population density countries at similar level of development, like Pakistan and Indonesia. The Mumbai-Ahmedabad corridor is to use imported Shinkansen technology, with Japanese financing. India has a vast railway network using broad gauge, with extensive regional rail (the Mumbai Suburban Railway has 2.6 billion riders per year) as well as legacy intercity rail. However, to maintain Shinkansen compatibility, India has chosen to use standard gauge. This is based on a misunderstanding of why HSR uses standard gauge. Spain uses near-Indian gauge on its legacy network but standard gauge on HSR to maintain compatibility with the French TGV network, and Japan has narrow gauge on the legacy network and standard gauge on Shinkansen because narrow-gauge trains can’t run as fast. Neither of these justifications applies to India, and evidently, in another country where they don’t apply, Russia, HSR is to use broad gauge. With standard gauge, India will not be able to run HSR through to the legacy network, connecting to cities beyond the initial line, such as Delhi, nor will it be able to stage future construction to build lines in phases, the way France did, with through-service to lower-speed territory. Even worse, alone in the world, India is using the Shinkansen’s loading gauge on HSR: trains are 3.35 meters wide, enough for 5-abreast seating. Indian Railways has a loading gauge allowing 3.66 meter trains, enough for 6-abreast seating with the same compromises on comfort familiar to every airline economy passenger. I don’t know what the standards for track centers are to be on India’s HSR: Indian Railways’ manual says 5.3 meters, which is wide enough for everything, but Shinkansen standards specify 4.3 meters, which is tight enough that a future widening of the track and loading gauges may pose difficulties for passing at high speed (at low speed it’s easy, India’s legacy track centers are 4.265 meters, and standard-gauge America’s are 3.7 meters on the slower parts of the Northeast Corridor). During construction, the decision to use the wrong-size trains is fixable. Even after service opens, if the track centers are not too narrow, it’s possible to add a third rail to permit a transition to broad gauge. If the track centers are as narrow as the Shinkansen then might still be possible, if the third rails are on the outside (it would widen the track centers by the difference between the gauges, or 23.3 cm), but then the platforms would need to be shaved for wider trains. In the medium and long runs, such gauge widening is critical as India builds out its network. But today, so complete is India’s reliance on Japanese technology that the training for drivers will be conducted in Japan, in Japanese; train drivers will be required to speak Japanese, as the Shinkansen trainers will not all speak English. It goes without saying that without a large body of Japanese speakers, India will be forced to pay first-world or near-first-world wages, forgoing its advantage in having low labor costs. The projected construction cost of the 508-kilometer line is 1.1 trillion (“lakh crore”) rupees, which is $15 billion in exchange rate terms and about $55 billion in PPP terms. Per Wikipedia, the route includes only one tunnel, a 21-km approach to Mumbai with suburban and underwater tunneling (even if the gauges were compatible, using existing tracks like TGVs is impossible due to the use of every approach track by overcrowded Suburban Railway trains). The rest of the route is predominantly elevated, but the decision to runs the trains elevated rather than at-grade is only responsible for about 10% of its cost. Despite the complexity of such a tunnel, there is no excuse for the high construction cost. In exchange rate terms it’s reasonable. Japan’s domestic Shin-Aomori extension of the Shinkansen cost about $55 million per kilometer, including a 26 km tunnel consisting of a third of the route and additional tunnels totaling a majority of the route. More recently, Japan’s new bout of Shinkansen construction costs about $30 billion for 389 km, but tunneling is extensive, with the Hokkaido route planned to be 76% in tunnel. With India’s complete reliance on Japanese technology, paying the same as Japan in exchange rate terms is not surprising. It’s a disaster for India, which has to pay in depreciated rupees instead of leveraging its low-cost labor, but as far as Japan is concerned, it’s a perfect copy of the domestic Shinkansen system. Similar high costs can be observed for some Asian metro projects using Japanese financing, namely Dhaka (the world’s highest-cost elevated metro, even worse than in the US) and Jakarta. In contrast, where India improves its rail network by tapping into Indian Railways’ own expertise, costs are low. Nearly half of India’s rail network is electrified, and to save money on expensive fuel, the country is rapidly electrifying the system, targeting 100% electrification. A plan to electrify 13,675 route-km in the next four years is to cost 12,134 crore rupees, about $123,000/km in exchange rate terms or $450,000/km in PPP terms. In the developed world, $1-1.5 million/km for electrification is reasonable, and the unreasonably expensive UK, US, and Canada go up to $5-10 million/km. Left to its own devices, Indian Railways can build things cheaply. India’s geography for high-speed rail is not easy. Mumbai, Surat, and Ahmedabad are the only three cities in the top 20 that lie on a straight line at easy HSR range. Delhi-Mumbai, Delhi-Kolkata, and Mumbai-Chennai are all just outside the best range for HSR (and Kolkata-Chennai is well outside it), having to rely on intermediate cities like Ahmedabad, Hyderabad, and Kanpur for ridership. Within Uttar Pradesh, Kanpur and Lucknow are both large cities, but the line connecting them is almost perpendicular to that connecting Delhi and Kolkata, so that only one can be served on the main line. In the South, there is a similar situation with Mumbai-Chennai, via either Bangalore or Hyderabad (and there, both routes should be built as Bangalore and Hyderabad are both near-megacities). Mumbai itself requires extensive tunneling in all directions: north toward Gujarat and Delhi, south toward Pune, and possibly also northeast toward the interior cities of Maharashtra. I drew a possible map for a nationwide network. The total length is 17,700 double-track-km. It’s about the same length as most American proposals, and less than half as much as what China aims to build by 2025, but India has four times the population of the US and far higher population density, and its density is also several times that of China. For a better comparison, consider Pakistan: it is slightly less dense than India and has about 15% India’s population, and yet two spines totaling about 1,800 km, Karachi-Lahore and Lahore-Islamabad-Peshawar, would connect nearly every major city. Lying on the Indus, much of Pakistan has a linear population distribution, facilitating rail connections. With a difficult urban geography for HSR, India has to take especial care to reduce construction costs. This means, in turn, that it needs to rely on indigenous expertise and standards whenever possible. When imported technology is unavoidable, it needs to provide its own financing (with an annual budget of 29 trillion rupees, it can afford to do so) and force Japanese, Korean, and European vendors to compete. A Chinese-style tech transfer (read: theft) is not possible – the vendors got burned once and won’t agree to the same again – but domestic driver training, with the foreign role restricted to the rolling stock (built to Indian standards) and engineering, is essential and unlikely to bother the global industry. Following up on my last post’s promise to tackle both cultural theory of risk and cultural cringe, here is my take on the latter issue. It is normal for people to have some degree of national pride and fervor. Cultural cringe refers to the opposite trend: when, in some circumstances, people in certain countries feel national shame and develop an inferiority complex. The term cultural cringe itself was coined by A. A. Phillips in 1950, describing Australia’s inferiority complex toward Britain in literary fields: Australians thought their literature was too provincial and perhaps too incomprehensible to the British readers, and as a result many authors were uncomfortable making the local references celebrated in the literary canon of Britain, France, Russia, the US, etc. This notion has been generalized elsewhere. Amos Oz says he felt uncomfortable writing books in such a peripheral country as Israel until he read Sherwood Anderson’s Winesburg, Ohio, showing how literature of and by the provinces can thrive. From its origin in Australian literature, the idea of the cultural cringe has expanded to other fields, including the law, social relations, technology, and business. It seems endemic in former colonies, especially ones that are not rich. One writer in Nigeria argues how best practices thinking is cultural cringe by giving an example of a recent legal importation that turns out to already exist in traditional Yoruba law. In Australia itself, political scientist L. J. Hume pushed back against the notion that there is cultural cringe, arguing it is true of literature but not economics of other fields. But in mass culture, the vast majority of countries, both developed and developing, consider American film and television superior to their own and have domestic industries that focus on arthouse films or low-budget flicks. Cultural cringe in legal, political, or technological fields remains endemic in many other developed countries. In one recent example, Emmanuel Macron said France is inherently resistant to change and (by implication) ungovernable, comparing it negatively with Denmark. In business, 1980s-era America was replete with books telling managers how to think like a Japanese or German, which trend ended when the Japanese lost decade and the economic crisis of German unification made these countries less fashionable. Lying in the intersection of business, politics, and technology, urbanism and transportation are amenable to analysis using this concept. As in the Nigerian example, the third world tends to have too much cultural cringe and too much faith in the merits of importing first-world methods. Conversely, the United States (and to a large extent Canada) today is resistant to outside ideas and does not know how to be a periphery. During the SB 827 debate in California, supporters reassured restive city residents that the density the bill promoted – up to 7 floors right next to transit lines and up to 5 a little farther away – was gentle. “Paris density,” they said. Everyone likes Paris as a tourist. Everyone recognizes Paris as good urbanism. There is very little cultural cringe in the United States – on the contrary, Americans are solipsistic in every field. However, one of very few exceptions is that the American middle class vacations in Europe and is familiar with how walkable European cities are. (It’s even referenced on Mad Men when a minor character goes on walks in their car-oriented New York suburb.) Paris is the largest and richest city Americans of a certain wealth and education level can be expected to be familiar with and like, but by the same token the YIMBYs could mention Barcelona, Amsterdam, and Rome. But it’s useful to think of what was not mentioned. Certainly not Hong Kong or Dubai, which seem to be mentioned almost exclusively negatively in Western discourse. Not Tokyo, which Westerners are much less likely to visit to the point that the Western blogs talking about Japanese urbanism (like Urban Kchoze) are notable for it. Nothing in the middle-income world, including some old cities (like Mexico City and Istanbul) that have building height, street width, and stylistic variation that first-world urbanists would approve of (and do if they’ve been there). In this situation, the invocation of famous European cities feels less like a dialogue and more like an attempt to induce cringe defensively, to make people feel less attached to their cities’ American auto-oriented character. In effect, it’s an attack on “it will change the character of our neighborhood,” a line that’s much less common in countries that are used to thinking of themselves as inferior to whatever they consider the metropolitan core (such as the first world writ large in Israel, or the former colonial master in ex-colonies). In the developing world, there is extensive cringe. Without using that term, I suggested it as a reason behind high construction costs in the third world, which are similar to the costs of the first world today and several times as high as those of the first world from back when its income levels were comparable to those of subway-building third-world countries, in the early 1900s. In Latin America and China, development is more inward-looking, and China in particular learned to build subways from the USSR in the 1950s, not a rich country. In former colonies, there seems to be a greater willingness to import methods from either the former colonizer or from countries that aggressively invest in third-world infrastructure, like Japan and China; the result is very high construction costs for projects for which I have data in India and other countries of that development level. In some cases, like India’s high-speed rail program, the country imports technology wholesale, and Japan (or China) may insist on an exact copy of its methods. As it is, Japan refuses to call Taiwan High-Speed Rail a Shinkansen system even though it runs Shinkansen rolling stock: construction methods were European, so Japan only calls THSR a high-speed rail system using Shinkansen-based technology. However, decisions like India’s standard-gauge metro lines happen even in indigenous systems. Delhi Metro uses standard gauge not for some turnkey technological import, but purely because it feels more modern whereas Indian mainline trains feel dinghy and dangerous. Evidently, Delhi Metro electrification is 25 kV, which is standard on mainline trains but unheard of on first-world metros; modifying subways for high-voltage electrification requires expensive concrete pouring, since high-voltage catenary requires more generous clearances to avoid arcing, whereas modifying rail gauge is routine since the European vendors are used to selling to broad-gauge Finland and Spain and the Japanese ones are used to their country’s multitude of gauges. And if India errs on the side of too much shiny adoption of foreign technology, the US errs on the side of adopting too little. Americans do not think their country is inferior. American authors do not think they need to experience another country or speak another language before they write. There was a time when the American business community felt outcompeted, but today it feels like it’s at the top of the world, Silicon Valley having long left Japanese corporations in the dust; I stopped seeing complaints that American cars were inferior to German and Japanese ones not long after Obama’s auto industry bailout. If India fails to understand where its own methods could be superior despite being a peripheral country, the United States fails to understand that it’s a peripheral country in the first place. Transportation innovation rarely happens in North America. It happens in Western Europe and Japan, and to some extent in developing countries that have less cultural cringe than former colonies, such as Brazil and Colombia and their invention of BRT or Colombia, Bolivia, and Mexico’s use of aerial gondolas in mountainous suburban areas. However, the way the Midwestern cities he focuses on try to attract this elusive development is through cheap copying. An old post of his I can no longer find contrasts world-class Indianapolis with world class in Indianapolis. The former involves investing in some city institution to make it world-class, or more realistically notable enough that boosters can call it world-class with a straight face. The latter involves inviting a starchitect or another person with international cachet (such as Richard Florida) to build something in Indianapolis that’s notable and is exactly as notable as what this person might build in any other city of that size, with no particular connection to the city itself. In the transportation field, many American cities build mixed-traffic downtown streetcars and beam with pride if they get 4,000 riders per weekday. Often this mentality overrides any attempt to provide services to city residents: thus, the streetcar in Detroit is not integrated with the city’s bus network, and in fact a bus runs on the same street, on different lanes from the streetcar. This isn’t about some mythical preference for rail over bus: these cities build whatever they hear is in vogue and will get them noticed by New York media, whether it’s peak-only commuter rail, a downtown streetcar, a limited bus that calls itself BRT, or now a bus network redesign around untimed 15-minute frequencies. It’s important to distinguish dialogue with a foreign culture and cultural cringe toward it. One difference is that cringe implies infatuation; however, infatuation can also develop among immigrants who are steeped in the metropole’s culture after having lived there even while maintaining ties to the old country. A bigger difference is the extent of two-way dialogue. Israelis use the expression “unbroken country” to refer to the mythical average first-world country in which you can get things done without having to tell government bureaucrats that you served in the military with their bosses; however, few have lived abroad long enough to know the details of what makes these countries tick better. With limited knowledge of the core, the periphery can worship at the feet of the few people who do know, which leads to political bias. This is where moral panics of no-go zones come from: there is an Israeli television show purporting to portray how things are in Europe, but any connection between Belleville (or other racially diverse Paris neighborhoods) and what they depict is completely incidental. In that case, the bias is right-wing. In the opposite direction, left-wing bias can occur when American liberals and socialists are enamored by European health care and education systems and elide a thousand details that distinguish them from American renditions of single-payer health care or free college tuition. But the biased reaction is only common in places that care little about how to govern. “Well, actually Tower Hamlets is a no-go zone” is not a blueprint for reducing nonwhite immigration to the United States or Israel. Instead, in the policy sphere a more common reaction is a shrug. Dialogue is threatening: the people capable of it are typically not the top pundits on this issue. Instead, it’s more common to aggressively dismiss knowledge that’s hard to access, even among people who at the same time invoke the cringe. In Israel it takes the form of self-denigrating lines like “this is Israel, not Finland.” Cultural cringe leads to lower expectations this way. When Phillips criticized Australian authors who deracinated their writing to appeal to British taste, he was implicitly saying that Australians couldn’t root their literature in British experience. Oz, similarly, felt constrained about writing when he was young because living in Israel, he could not root his books in Paris, Milan, and other flashy cities whose books he devoured. The economic (or legal, or technological) analogue of this observation is that the reason there is cultural cringe is that people in peripheral areas (which in transportation include the United States) are too unfamiliar with the core and cannot dialogue with it the way people in different parts of the core can. Urbanism is not literature. One doesn’t need extraordinary sensitivity and a lifetime (short as it may be) in a culture to produce very good insights about transportation, housing, or municipal governance. It’s possible to break out of the cringe by acquiring detailed knowledge of how the core operates. In the case of the third world and subway construction, it means learning enough about current and historical construction methods to be able to propose ways to build infrastructure at low costs commensurate with these cities’ low wages; in the case of the United States, it means learning enough about what makes European, Japanese, Latin American, etc. urbanism tick that it can be adopted domestically. Urbanism is not literature in a far more important sense: there really are better and worse traditions there. It’s not enough to have pride in what you have when what you have is a third-world city where the poor don’t have running water, or for that matter an American city that would shut down instantly were gas prices to rise to levels necessary to stop global warming. Learning from the core is crucial. It’s just equally important to do so through dialogue and not through the ignorant self-denigration that is cultural cringe. Last year, I saw a tip by the Metropolitan Police: if you witness any crime on a London bus and wish to report it later, you should tell the police the number on your Oyster card and then they’ll already be able to use the number to track which bus you rode and then get the names and bank accounts of all other passengers on that bus. Londoners seem to accept this surveillance as a fact of life; closed-circuit TV cameras are everywhere, even in front of the house where Orwell lived and wrote. Across the Pond, transit agencies salivate over the ability to track passenger movements through smartcards and contactless credit cards, which is framed either as the need for data or as a nebulous anti-crime measure. Fortunately, free countries have some alternative models. In Germany, the population is more concerned about privacy. Despite being targeted by a string of communist terrorist attacks in the 1970s and 80s, it maintained an open system, without any faregates at any train station (including subways); fare enforcement in German cities relies on proof of payment with roving inspectors. Ultimately, this indicates the first step in a transit fare payment system that ensures people pay their fares without turning the payment cards into tracking devices. While Germany resists contactless payment, there are ways to achieve its positive features even with the use of more modern technology than paper tickets. Integration: free transfers between different transit vehicles and different modes should be built into the system, including buses, urban rail, and regional rail. Scalability: the system should scale to large metro areas with variable fares, and not just to compact cities with flat fares, which are easier to implement. It should also permit peak surcharges if the transit agency wishes to implement them. No vendor lock: switching to a different equipment manufacturer should be easy, without locking to favored contractors. Security: it should be difficult to forge a ticket. Privacy: it should not be possible to use the tickets to track passengers in most circumstances. Hospitality: visitors and occasional riders should be able to use the system with ease, with flexible options for stored value (including easy top-up options) and daily, weekly, and monthly passes, and no excessive surcharges. Smartcard and magnetic card systems are very easy to integrate across operators; all that it takes is political will, or else there may be integrated fare media without integrated fares themselves, as in the Bay Area (Clipper can store value but there are no free transfers between agencies). Scalability is easy on the level of software; the hardest part about it is that if there are faregates then every station must have entry and exit gates, and those may be hard to retrofit. Existing smartcard technologies vary in vendor lock, but the system the US and Britain are standardizing on, contactless credit cards, is open. The real problem is in protecting privacy, which is simply not a goal in tracking-obsessed Anglo-American agencies. Hospitality may seem like a trivial concern, but it is important in places with many visitors, which large transit cities are. Moreover, universal design for hospitality, such as easily recognizable locations for topping up stored value, is also of use to regular riders who run out of money and need to top up. Making it easy to buy tickets without a local bank account is of use to both visitors and low-income locals without full-service bank accounts. In the US, 7% of households are unbanked and another 20% are underbanked; I have no statistics for other countries, but in Sweden banks will not even give debit cards to people with outstanding debts, which suggests to me that some low-income Swedes may not have active banking cards. New York’s MetroCard has many faults, but it succeeds on hospitality better than any other farecard system I know of: it is easy to get the cards from machines, there is only a $1 surcharge per card, and season tickets are for 7 or 30 days from activation rather than a calendar week or month. At the other end of the hospitality scale, Navigo requires users to bring a passport photo and can only load weekly and monthly passes (both on the calendar); flexible 5-day passes cost more than a calendar weekly pass. In fact, the main reason not to use paper tickets is that hospitality is difficult with monthly passes printed on paper. Before the Compass Card debacle, Vancouver had paper tickets with calendar monthly passes, each in a different color to make it easy for the driver to see if a passenger was flashing a current or expired pass. The tickets could be purchased at pharmacies and convenience stores but not at SkyTrain stations, which only sold single-ride tickets. The Anglosphere resists ID cards. The Blair cabinet’s attempt to introduce national ID cards was a flop, and the Britons I was reading at the time (such as the Yorkshire Ranter) were livid. And yet, ID cards provide security and privacy. Passports are extremely difficult to forge. Israel’s internal ID cards are quite difficult to forge as well; there are occasional concerns about voter fraud, but nothing like the routine use of fake drivers’ licenses to buy drinks so common in American college culture. At the same time, in countries that are not ruled by people who think 1984 was an uplifting look at the future, ID cards protect privacy. The Yorkshire Ranter is talking about the evils of biometric databases, and Israeli civil liberties advocates have mounted the same attack against the government’s attempt at a database. But German passports, while biometric, store data exclusively on the passport, not in any centralized database. ID cards designed around proving that you paid your fare don’t even have to use biometrics; the security level is lower than with biometrics, but the failure mode is that the occasional forger can ride without paying $100 a month (which is much less than the cost of the forgery), not that a ring of terrorists can enter the country. Navigo’s ID cards are not hospitable, but allowing passengers to ride with any valid state-issued ID would be. Visitors either came in from another country and therefore have passports, drove in and therefore have drivers’ licenses, or flew in domestically and therefore still have ID cards. Traveling between cities without ID is still possible here and in other free European countries, but everyone has national ID cards anyway; the ID problem is mainly in the US with its low passport penetration (and secondarily Canada and Australia), and the US has no intercity public transit network to speak of outside the Northeast Corridor. What this means is that the best way to prevent duplication of transit passes is to require ID cards. Any ID card must be acceptable, including a passport (best option), a national ID card (second best), or an American driver’s license (worst). There are approximately three first-world Western cities that have any business having faregates on their urban rail networks: London, Paris, New York. Even there, I am skeptical that the faregates are truly necessary. The Metro’s crowd control during the World Cup victory celebration was not great. New York’s faregates sometimes cause backups to the point that passengers just push the emergency doors open to exit, and then rely on an informal honor system so that passengers don’t use the open emergency doors to sneak in without payment. Evidently, the Munich S-Bahn funnels all traffic through a single two-track city center tunnel and has 840,000 weekday users, without faregates. Only one or two trunk lines are busier in Paris, the RER A with about a million, and possibly the RER B and D if one considers them part of the same trunk (they share a tunnel but no platforms); in London, only the Central, Victoria, and Jubilee lines are busier, none by very much; in New York, none of the two-track trunks is as busy. Only the overcrowded lines in Tokyo (and a handful in Osaka, Beijing, and Shanghai) are clearly so busy that barrier-free proof-of-payment fare enforcement is infeasible. The main reason not to use faregates is that they are maintenance-intensive and interfere with free passenger flow. But they also require passengers to insert fare media, such as a paper ticket or a contactless card, at every station. With contactless cards the system goes well beyond exact numbers of users by station, which can be obtained with good accuracy even on barrier-free systems like Transilien using occasional counts, and can track individual users’ movements. This is especially bad on systems that do not have flat fares (because then passengers tag on and off) and on systems that involve transferring with buses or regional trains and not just the subway (because then passengers have to tag on and off at the transfer points too). Best industry practice here is then barrier-free systems. To discourage fare evasion, the agency should set up regular inspections (on moving vehicles, with unarmed civilian inspectors), but at the same time incentivize season passes. Season passes are also good for individual privacy, since all the system registers is that the passenger loaded up a monthly pass at a certain point, but beyond that can’t track where the passenger goes. All cities that have faregates except for the largest few should get rid of them and institute POP, no matter the politics. In theory, the ID card can literally be the ticket. The system can store in a central database that Alon Levy, passport number [redacted], loaded a monthly pass valid for all of Ile-de-France on 2018-08-16, and the inspector can verify it by swiping my machine-readable passport. But in practice, this requires making sure the ticket machine or validator can instantly communicate this to all roving fare inspectors. An alternative approach is to combine paper tickets with ID cards. The paper ticket would just say “I am Alon Levy, passport number [redacted], and I have a pass valid for all of Ile-de-France until 2018-09-14,” digitally signed with the code of the machine where I validated the ticket. This machine could even be a home printer, via online purchase, or a QR code displayed on a phone. Designing such a system to be cryptographically secure is easy; the real problem is preventing duplication, which is where the ID card comes into play. Without an ID card, it’s still possible to prevent duplication, but only via a cumbersome system requiring the passenger to validate the ticket again on every vehicle (perhaps even every rail car) when getting on or off. The same system could handle stored value. However, without printing a new ticket every time a passenger validates, which would be cumbersome, it would have to fall back on communication between the validator and the handheld readers used by the inspectors. But fortunately, such communication need not be instant. Since passengers prepay with stored value, the ticket itself, saying “I am Alon Levy, passport number [redacted], and I loaded 10 trips,” is already valid, and the only communication required is when passengers run out of money; moreover, single-use tickets have a validity period of 1-2 hours, so any validator-to-inspector communication lag time of less than the validity period will be enough to ensure not to validate expired tickets. The same system can also be used to have a daily cap as in Oyster, peak surcharges, and even generally-undesirable station-to-station rather than zonal fares. It’s even possible to design a system without single-use tickets at all. Zurich comes close, in that a 24-hour pass costs twice as much as a single-use ticket (valid for just an hour), so passengers never have any reason to get a single-use ticket. In this system there would not be any stored value, just passes for a day or more, valid in prescribed zones, with printable tickets if regular riders in one zone occasionally travel elsewhere. The upshot here is that advanced technology is only required for printing and reading QR codes. The machines do not need to be any more complicated than ATMs or Bitcoin ATMs (insert money, receive a Bitcoin slip of paper); I don’t know how much Bitcoin ATMs cost, but regular ATMs are typically $2,000-3,000, and the most expensive are $8,000, unlike the $75,000 ticket machines used at New York SBS stations. The moving parts are software and not hardware, and can use multi-vendor cryptographic protocols. In effect, the difficult part of verifying that there is no duplication or forgery is offloaded to the state ID system. I wrote years ago about the problems of so-called development-oriented transit – that is, transit built not to serve current demand but future development, often to be funded via land value capture and other opaque mechanisms. Today I want to talk not so much about the transit itself but the arguments people make for it. The context is that I appeared on Kojo Nnamdi’s show last week discussing the plans for a ferry network in Washington DC, which I had heavily criticized in an article for the DC Policy Center. I was discussing the issue with guest host Marc Fisher and two locals involved in the ferry plan. I criticized the ferry plan over the poor land use on most of the waterfront on both sides of the Potomac, contrasting it with the Staten Island Ferry and Vancouver’s SeaBus (both of which have skyscrapers going almost to the water’s edge at the CBD end and decent secondary CBD development at the outlying end). My interlocutors answered, don’t worry, the area is undergoing redevelopment. I heard something similar out of Boston, regarding the Seaport. People recurrently talk on Commonwealth about how to connect to the Seaport better, and at one point there was a plan to have the Fairmount Line reverse-branch to serve the Seaport (rather than going into the CBD proper at South Station). The crayonistas talk about how to connect the Green Line to the Seaport. Whenever I point out that the Seaport is at best a tertiary destination I’m told that it’s growing so it needs some transit. In both cases, what’s missing is scale. Yes, waterfront redevelopment in former industrial cities is real. But the only place where it’s happened on sufficient scale to merit changing the entire transit system to fit the new development is London, around Canary Wharf. And even in London, the CBDs are unambiguously still the City and the West End; Canary Wharf is a distant third, deserving of a Crossrail line and some Tube lines but not of the dense mesh of transit that the City and West End have. The important thing to understand is that TOD sites are practically never going to eclipse the CBD. La Defense, for all its glass-clad glory, is still smaller than the Paris CBD, stretching from west of Les Halles to east of Etoile. The peak job density at La Defense is higher, but westbound RER A trains are at their most crowded heading into Auber, not La Defense, and the CBD maintains its medium-high job density for several square kilometers while La Defense is geographically small. And your city’s waterfront redevelopment is not going to be La Defense or Canary Wharf. If the TOD sites are not going to be primary CBDs, then they must be treated as secondary centers at best. One does not build transit exclusively for a secondary center, because people along the lines that serve it are going to be much more interested in traveling to the primary CBD. For example, people at the origin end of a ferry system (in Washington’s case this is Alexandria and suburbs to its south) are traveling to the entirety of city center, and not just to the redevelopment site near the waterfront. Thus the transit that they need has to connect to the CBD proper, which in Washington’s case is around Farragut and Metro Center. A ferry system that doesn’t connect to Metro well is of no use to them, and whatever redevelopment Washington puts up near the Navy Yard won’t be enough to prop up ridership. The principle for redeveloped waterfronts has to be the same as for every secondary neighborhood destination: be on the way. If there is cause to build an entirely new metro line, or run more buses, and the new service can plausibly go through the redevelopment site, then it should. In Boston’s case, the 7 bus has high usage for how short it is, and so does the Silver Line going to the airport, so it’s worthwhile making sure they run more efficiently (right now the 7 and Silver Line run along the same inner alignment but peak in opposite directions without being able to share infrastructure or equipment) to serve the Seaport better. However, building a line from scratch just for the Seaport is a bad idea, and the same is true of the area around Waterfront and the Navy Yard in Washington. In fact, the two closest things New York has to Canary Wharf – the Jersey City waterfront and Long Island City – both developed precisely because they were on the way. PATH was built to connect the railroad terminals at the then-industrial waterfront and the traditional center of Jersey City at Journal Square with Manhattan. Mainline trains began to be diverted from Jersey City to Manhattan when Penn Station opened, and with the general decline of rail traffic the waterfront was abandoned; subsequently, Exchange Place and Pavonia/Newport became major job and retail centers, since they had available land right on top of rapid transit stations minutes from Lower Manhattan. In Queens, something similar happened with Long Island City, once a ferry terminal on the LIRR, now a neighborhood with rapid residential and commercial growth since it sits on multiple subway lines just outside Midtown. One exception to the be on the way rule is if there is a nearby stub-end line or a natural branch point. Some metro lines stub-end in city center rather than running through, such as the Blue Line in Boston, the 7 and L trains in New York, and Metro Line 11 here in Paris. If they can be plausibly extended to a new redevelopment site, then this is fine – in this case the CBD will be on the way to the new site. The 7 extension is one example of this principle; the extension is overall not a success, but this is exclusively due to high costs, while ridership per km is not terrible. In London, the Jubilee line and Crossrail are both examples of this exception around Canary Wharf. Crossrail expects intense demand into Central London but less demand on the specific eastern branch used (the Great Eastern slow lines), making the City into a natural branch point with a separate branch to Canary Wharf and Southeast London. And the Jubilee line stub-ended at Charing Cross when it first opened in the 1970s; plans for an extension to the east are even older than the initial line, and once Canary Wharf became a major office building site, the plans were changed so as to serve the new center on the way to Stratford (itself an urban renewal site with extensive redevelopment, it’s just smaller than Canary Wharf). The ultimate guideline here is be realistic. You may be staring at a place that’s doubled its job density in a decade, but it won’t be able to double its density every decade forever, and most likely you’ll end up with either high-density condo towers or a small job cluster. This means that you should plan transit to this site accordingly: worth a detour on a line to the CBD, but not worth an entire system (whether ferry or rail) by itself. France won the World Cup. Once the final ended, people all over Paris went out to the streets to celebrate. At Nation I saw impromptu dancing, drivers waving tricolore flags, and car passengers climbing out of their cars to wave their own flags. But the real celebration was elsewhere, on Champs-Elysees in the central business district. This was well covered in the media; the Guardian cites an estimate of one million people going to Champs-Elysees to celebrate, and ESPN reports riots (which I didn’t witness but can easily believe happened given the general conduct I did see) and 110,000 police and gendarmerie officers. The sidewalks were crowded and it was difficult to move; there were too few street closures, so pedestrians were confined to narrow zones for the most part. But the crowding was worst at the Metro stations, and RATP should learn from this example and do better next time there are large celebrations, perhaps next Bastille Day. The problem is cascading closures. In London, where the Underground platforms are narrower and have fewer cross-passageways than the Metro platforms here, closures are routine at Bank because often the passageways get dangerously overcrowded. These closures cascade: once Bank is closed to limit crowding, passengers swarm the adjacent stations, such as Moorgate and London Bridge, which are not built to handle the typical Bank crowds, forcing TfL to close them as well. France won the game around 7 in the evening Paris time. By 8, some stations on Champs-Elysees were closed, and as I sat on my severely delayed Metro Line 1 train, with passengers banging on the train’s walls and ceiling, I heard that they were closing more, ultimately going express from Palais-Royal to Argentine and skipping all the CBD stations, including Etoile. I got off at Argentine, as did practically the entire train. Not designed to handle the crowds of the entire CBD at once, Argentine’s platform was jammed. I spent maybe ten minutes trying to make my way from where I got off to the front end of the platform, where the only exits were, and failed, and at a few points the mass of passengers was such that I thought a stampede was likely. The only reason nobody fell onto the tracks was the platform edge doors, installed during the automation of Line 1. Trains kept serving the station, dumping more and more people. The only mechanism preventing more passengers from getting on was that the crowding was so intolerable that some people started getting back onto the trains, including eventually me. I couldn’t even get off at the next stop, Porte Maillot – the platform was fine but the train was too crowded – so I got off in the suburbs, at Les Sablons, and walked back east. Perhaps RATP did eventually close Argentine. But both RATP and the city made crucial mistakes that evening, which they should fix in the future. First, they should have made the trains free to improve passenger circulation. Paying at the turnstiles takes time. This is especially bad in Paris, where there are separate gates for entry (which are turnstiles) and exit (which are one-way doors), unlike the two-way turnstiles of New York. Moreover, unlike New York, Paris has no large emergency doors that can be opened. All passengers were going in one direction – out – so RATP should have propped the exit doors open to let passengers out more smoothly. Free transit for special events is routine in Paris. The trains are free around New Year’s, in order to encourage people to take the train rather than add to car traffic and pollution (and perhaps drunk driving). Bastille Day celebrations and any future victory at the World Cup or Euro Cup should be added to the list of free transit events, not to discourage people from driving but to prevent stampedes. And second, the city should have closed the surrounding area to non-emergency car traffic. Champs-Elysees was closed, but there wasn’t much place to spill over; the side street I took once I tried leaving had a narrow sidewalk, and police cars were parked in a way to restrict people to a constrained exit path. 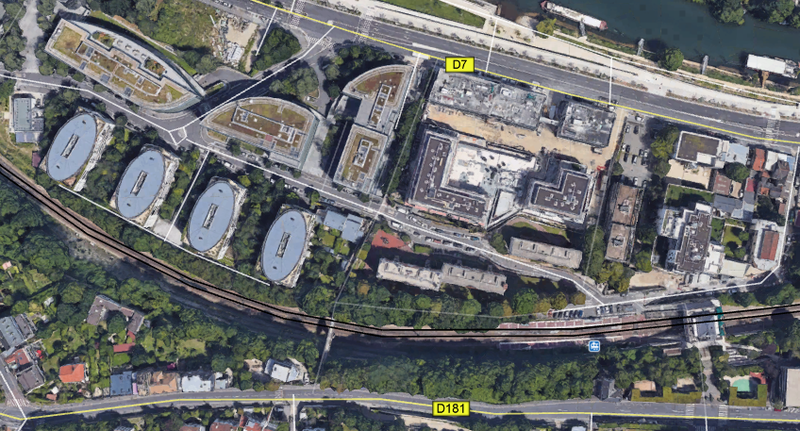 There is no parallel street that can act as a spillover route, and between the Rond-Point and Etoile there is only one crossing street wider than about 25 meters, Avenue George V on the south side (whereas almost all rail alternatives to the Metro Line 1 are on the north side). With narrow side streets, it’s especially important to dedicate space to pedestrians and emergency vehicles and not to cars. This was as far as I can tell not done, making it hard for people to leave the most crowded areas. In contrast, Etoile itself, with twelve avenues radiating from its circle, was not so crowded, as people had escape routes. World Cup victories are rare enough that cities understandably don’t design their entire layout based on them. But when they do happen, it’s critical to have a plan, and the same is true of other big celebrations, which often occur annually on national days. If passengers are overwhelming the subway, it’s critical to quickly do whatever the agency can to increase throughput at station passageways as well as on the tracks. And if pedestrians are overwhelming the streets above ground, it’s critical to give them more street space, including for entry and exit. There are two standard reasons why public transit should limit branching. The first is that it reduces frequency on the branches; this is Jarrett Walker’s reason, and distantly the reason why New York doesn’t interline more than two subway services anywhere except 60th Street Tunnel. The second is that it makes schedules more fragile, first because services have to be scheduled more precisely to alternate among branches, and second because delays on one branch propagate to the others. And yet, rail and bus networks still employ branching, due to benefits including better coverage and focusing frequency where demand is the highest. This is especially common on regional rail, where all services are scheduled and often interact with the mainline network, so the second problem of branching is present no matter what. Metro systems instead have less branching, often because they only serve dense areas so that the main benefits of branching are absent. But what about buses? I posit that bus branching is more valuable in low-density areas than in high-density areas. If an area only has demand for a bus every 30 minutes, and some farther-out places only have demand for an hourly bus, then it’s fine to branch the route in two. The bus would only be useful with some timed transfers at the inner end – maybe it’s feeding a regional train station with a train every half hour – but the Zurich suburbs have half-hourly clockface schedules with timed bus/rail connections and maintain high mode share for how low their density is. In the other direction, look at Manhattan specifically. I’ve been looking at its bus network even though I’m only supposed to redesign Brooklyn’s. I’ve mentioned before that my epistemology is that if the presence of factor A makes solution B better, then the absence of factor A should make solution B worse. I noticed that the Brooklyn bus network has very little branching: the only route numbers that branch are the B41 and B38, and the only routes with different numbers that share the majority of their lengths are the B67 and B69 (which reverse-branch). However, Manhattan has extensive branching: the M1/2/3/4 share the Madison and Fifth Avenue one-way pair, and the M101/102/103 share the Third and Lexington one-way pair. Understanding why would be useful even if I only care about Brooklyn: if there is a good reason for Manhattan buses to branch then I should consider adding branching in Brooklyn where appropriate, and even if it’s inappropriate, it’s useful to understand what special circumstances make branching good in Manhattan but not in Brooklyn. As it is, I don’t believe the branching in Manhattan is useful for Brooklyn. This comes from several reasons, at least one of which implies it’s not really useful for Manhattan either, and by extension for other high-density regions. You can run a bus that comes every half hour on a schedule, making it possible to interline two hourly routes evenly. With some discipline you can go down to 15 minutes, or possibly even 10: Vancouver runs 12-minute limited buses on 4th Avenue on a clockface schedule with on-board fare collection and shared lanes, but there is signal priority at nearly all intersections and relatively little car traffic since the West Side’s street network is rich in arterial roads and distributes cars across other routes (i.e. Broadway, 12th, and 16th Avenues). In contrast, it’s not really feasible to run buses on a schedule when they come every 5 minutes. There can be a printed schedule, but buses won’t follow it reliably. Once frequency hits about once every 3 minutes, regular street buses bunch so much that adding more buses doesn’t increase passenger capacity, but even in the 5-10 minute range, schedules are less important than headway management, unless the bus has extensive BRT treatments reducing schedule variance. This means that if a bus comes every 10 minutes and is scheduled on headway management, then branching the route means each branch gets service every 20 minutes scheduled on headway management as well. Few passengers would want to ride such a route. This is the worst region for branching, the 7.5-15 minute range in which branches force passengers to use buses that are both infrequent and irregular. The highest-frequency routes can branch with less risk. If a 5-minute bus branches in two, then each branch gets 10-minute service, at which point reliable schedules are still desirable but not absolutely necessary. How much service do the Manhattan bus trunks run? In the following scheme, peak means the busiest hour in the morning in the peak direction, and off-peak means the lowest frequency between the morning and afternoon peaks, which is usually around 11 am. What we see is that Manhattan branches precisely in the worst frequency range. The buses are frequent enough that it’s not possible to run them on a timetable without either much better segregation from traffic than is feasible (even waving away politics) or massive schedule padding, but they still require passengers in Upper Manhattan to wait 10-15 minutes for their specific branch. One might expect that Bus Time would make it easier on passengers by telling them where the bus is, but no, ridership has actually fallen since apps were introduced (and this fall predates the entry of app-hailed TNCs into the city). It turns out passengers like being able to rely on easily memorable clockface schedules, or else on frequencies so high that they only need to wait 5 minutes, not 15. Even one-time visitors to New York notice that the avenues in Manhattan are all one-way. This features prominently in the Manhattan bus network, which employs consistent one-way pairs on First/Second, Third/Lex, Madison/Fifth, and Ninth/Tenth. Moreover, again as every visitor to New York knows, Central Park occupies a large blob of land in the middle, interrupting Sixth and Seventh Avenues. The upshot is that there are more north-south routes north of 110th Street than south of it. This is roughly the branch point on the three trunks that branch (First/Second only carries the M15). In Harlem, there’s demand for buses on Lenox (i.e. Sixth) and Seventh, both of which are two-way there. There’s also commerce on an interpolating route, Manhattan/St. Nicholas, which is effectively 8.5th Avenue in most of Harlem. Farther west, Ninth/Columbus is no longer a useful through-route north of 110th, but instead Tenth/Amsterdam is two-way, and one of the two buses using the Columbus/Amsterdam one-way pair on the Upper West Side, the M11, indeed goes two-way on Amsterdam north of 110th. This situation occurs very frequently in cities without gridded street networks. One trunk route will split in two, heading to different former villages that were incorporated into the city as it industrialized and grew. Manhattan is unusual among gridded cities in that its avenues are one-way, forcing buses into one-way pairs south of Harlem that, together with Central Park, ensure there are more useful routes north of 110th than south of it. But among cities without a planned street network this is typical. As a check, let’s look at the bus networks in two ungridded American cities: Boston and Providence. Do they have a lot of interlining, involving one trunk route splitting in two farther out? Yes, they do! Here is Providence. Going west of Downcity, there are two major routes to Olneyville, Westminster and Broadway, but beyond Olneyville there are four main streets, so each of the two inner corridors carries two bus routes, and one of these four routes even splits in two farther out. 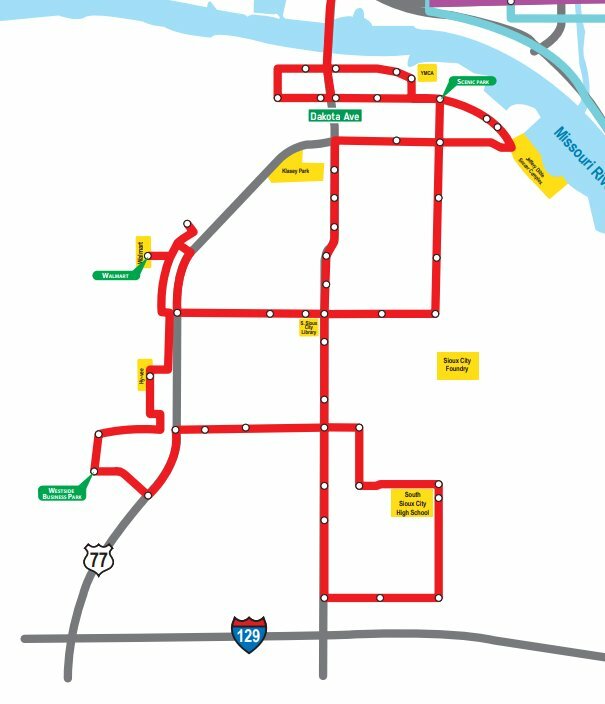 Going north, Charles Street carries four routes, branching off at various locations. Going east there’s a bus tunnel to College Hill carrying many routes, but even outside the tunnel, the one-way pair on Angell and Waterman carries three buses, which split in East Providence. And going south and southwest, Broad Street carries multiple routes, and one of its branches, Elmwood, carries two, splitting farther south. Here is Boston. Unlike in Providence, buses don’t converge on city center, but on subway stations, so the map is much less clean. However, we see the same pattern of trunk routes splitting into branches. For example, going south of Ruggles, many routes go southeast to Dudley and then south on Warren Street, splitting to various destinations in Dorchester, Mattapan, and Hyde Park on the way. Going southwest of Forest Hills we see many routes use Washington Street, some staying on it and branching in Dedham and some veering west to West Roxbury and branching there. Elsewhere in the system we see the same pattern going north of Maverick and Oak Grove, northeast of Malden, west of Harvard (briefly on Mount Auburn), and northwest of Alewife. I have repeatedly criticized the practice of reverse-branching on subway networks, especially New York, in which two train routes share tracks in an outlying area (such as Queens Boulevard) and then split heading into the center (such as Eighth Avenue on the E versus Sixth Avenue on the F). I did so on the same grounds that any branching is suspect: it reduces frequency on specific routes, and makes the schedule more fragile as delays propagate to more of the network. Moreover, the issue of schedule fragility gets worse if many routes share tracks at some point during their journey, whereas with conventional branching there are only two or three branches per trunk and the trunks form self-contained systems. Finally, reverse-branching lacks the main benefit of conventional branching, as it does not concentrate traffic in the core, where there’s most demand. The value of one-seat rides is somewhat higher. Transferring between buses is less nice than transferring between subways: in a Dutch study about location decisions, people’s disutility of out-of-vehicle time on buses was 1.5 times as high as on trains. Buses can overtake each other and, even without overtakes, run much closer together than trains. The limiting factor to capacity on buses is schedule fragility and bunching and not stopping distances. This means that reverse-branching is less likely to lead to cascading delays – buses do not have a 2-minute exclusion zone behind them in which no buses may enter. This means that reverse-branching is more defensible on buses than on trains. However, even then, I don’t think it’s a good idea. At least in Manhattan, reverse-branching consists of avenues in Upper Manhattan that have buses going to both the East Side and the West Side: the M7 (serving the Ninth/Tenth pair) and the M102 both run on Lenox, and the M4 and M104 (running on Broadway to Midtown) both run on Broadway in Morningside Heights. These splits both reduce the frequency available to bus riders and should be eliminated. East-west service should be provided with high-quality bus routes on the main streets, especially 125th (which needs a full subway) but also 116th, 135th, 145th, and 155th. The snag is that grids don’t work well unless they are complete. The Manhattan grid isn’t complete through Upper Manhattan, because 116th and 135th are discontinuous, without a direct connection from Central Harlem to Morningside Heights and West Harlem. However, the M7 route duplicates the 2 and 3 trains, so it’s not necessary for east-west connectivity. The M4 route doesn’t duplicate the subway, but does duplicate the M101, which runs on 125th Street and Amsterdam (and isn’t a reverse-branch because the M11 terminates shortly after 125th), so it’s not useful by itself. There is one solid reason for buses to branch: if the street network has more major routes closer to the center than in outlying areas, then buses running on the outer arterials should come together close to the core. This is common enough on cities with haphazard street networks. It may also be reinforced if there are weak circumferential streets (Sydney is one such example). In contrast, cities with gridded street plans, even broken grids like those of Brooklyn and Tel Aviv, should have little to no bus branching. If a bus does branch, it should ideally be extremely frequent on the trunk, so that even the branches have decent headway-based service. I’m not willing to commit to a maximum headway, but Barcelona and Toronto both have at worst 8-minute headways on their bus grids, so if that is indeed the maximum then a bus shouldn’t branch if its off-peak frequency is worse than every 4 minutes and better than every 10-20 (the more reliable the timetable is, the lower the upper limit is, since it’s possible to run on a timetable at higher frequency). In my case of interest, Brooklyn, there is exactly one bus route that comes at least every 4 minutes off-peak: the B46 on Utica runs 16 buses per hour in each direction, counting both local and limited (SBS) routes. The area in which buses absolutely should not branch – strong interconnected networks of arterials (not necessarily grids – Paris’s network counts too), running buses every 5-15 minutes off-peak – is exactly where most strong bus networks are. It’s rare to have a bus that has extremely high frequency all day, because in most functional city such a bus would be a subway already; as it is, Utica has long been New York’s second priority for subway service, after Second Avenue. So for the most part, the places where buses are the strongest are precisely those where branching is the most deleterious. Low-frequency networks, perhaps connecting to a suburban train station with a timed transfer, should add bus branching to their planning toolkit, but high-frequency urban networks should not. Why is Tramlink So Weak? I’ve mentioned on Twitter that I’m visiting London. I’m taking a lot of railfan trips, one of which was on Tramlink, London’s circumferential light rail service. Tramlink runs in South London, from Wimbledon in the west to Croydon in the east and thence along several branches to southeastern outer neighborhoods. Much of the route uses former mainline rail rights-of-way that were only partly grade-separated. The trains satisfy all of TransitCenter’s principles for good light rail operating practices, but their ridership is lackluster by the standards of Paris, TransitCenter’s comparison city. Tramlink has 30 million annual riders on 28 km of route, or about 3,500 per km per weekday; Ile-de-France’s system had 900,000 daily riders in 2015 on about 100 km route, or 9,000 per km. My goal is to explain why. One reason involves route choice, but the main reason is lack of development; this problem is very common in other cities, and must be added to the other pitfalls that TransitCenter mentions. The operating practices on Tramlink are not bad. The frequency is high: every 5 minute off-peak. There’s no fare integration with the proper rail network (including the Underground), but the buses in London have no fare integration with the trains either and still have high ridership. The connections with radial train lines are decent, though there’s one big miss (with the Northern line) and one smaller one (with West Croydon, which points to train stations that are served by other lines that do get interchanges); the two most important transfers, Wimbledon and East Croydon, require relatively little walking between platforms. The right-of-way quality is high by light rail standards, mostly in a private right-of-way with only a small extent of street running within Croydon; the average speed is 21 km/h (higher than the Parisian tramways – T3 averages 18 km/h). And yet, ridership is not so strong. London is a big city with high rail ridership, so it’s not a matter of a small city underperforming Paris on raw ridership; something deeper is wrong with Tramlink. Part of the problem has to involve route layout. East of East Croydon, the route has three branches. Two, heading to Elmers End and Beckenham Junction, keep the route’s circumferential character; in theory it should be faster to take mainline rail and change trains than to ride Tramlink, but in reality the mainline routes that would be used have missed connections and therefore are not useful for diagonal trips. Each of these two branches runs every ten minutes, interlining to a train every five minutes between East Croydon and Wimbledon. However, a third route connects East Croydon and New Addington, a radial line, running every 7.5 minutes. This route does not run through to Wimbledon (which would be a radial-circumferential mix) and exists as an orphaned feeder line, sharing tracks with the two main branches just east of East Croydon (thus, creating schedule conflict due to the uneven frequency on the shared trunk). 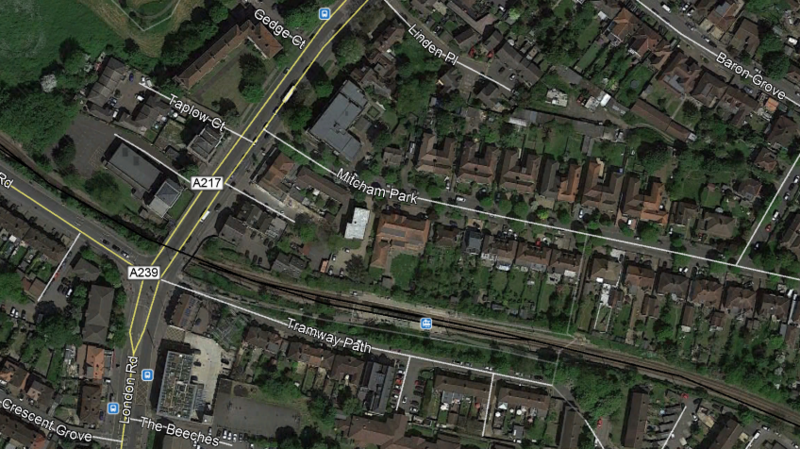 But the main difference between Tramlink and the Parisian tramways is adjacent density. London is generally a less dense city than Paris. London has two- and three-story rowhouses with back gardens where Paris has five- to nine-story buildings with high lot coverage. The Tramlink route itself is even less dense, passing through suburbia, industrial sites, and golf courses. The Parisian tramways are all in the suburbs (except for T3), but serve high-density clusters, surrounded by a mixture of mid-rise buildings and social housing towers. This is especially true on the workhorse Parisian routes – T1, T2, and T3, which collectively have about three quarters of the system’s total ridership – but even the other routes, while much weaker than the main three, serve denser areas than Tramlink and get higher ridership per kilometer. 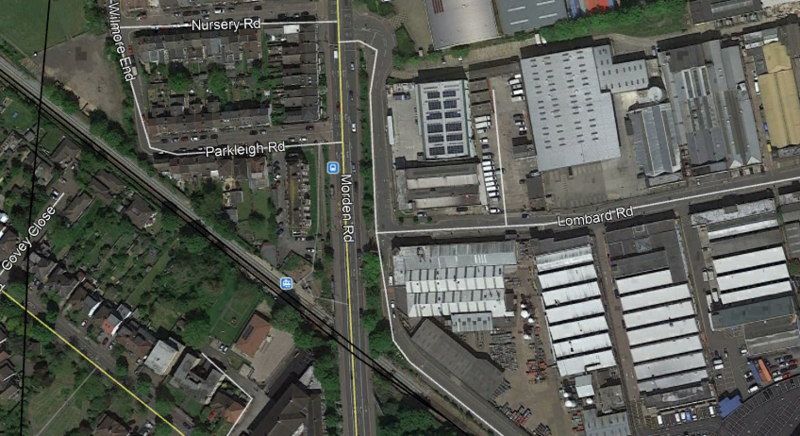 I want to make it very clear that the two satellite maps of Mitcham and Morden Road are not representative of all of South London, certainly not when weighting by population. East Croydon is full of mid- and high-rise TOD, and to some extent so is Wimbledon; the two stations rank fifth and sixth in ridership in London excluding the Central London terminals. The problem is that a circumferential line is rarely used over a long stretch. The longer the angle subtended on a circumferential line, the more favorable it is to take the radials and transfer. London in particular has four-track mainlines on most rail routes, including the London and South Western Main (serving Wimbledon) and the Brighton Main (serving East Croydon), making it easy to run express routes. Every hour, there are 9 trains running nonstop between East Croydon and Clapham Junction, and 16 trains running between Wimbledon and Clapham Junction with two intermediate stops. The diagonal commuter rail trip is faster than Tramlink, even counting transfer time at Clapham Junction. Paris is full of express trains, represented by the RER. But T3 misses nearly all of the RER connections, which weakens the route but also means that there is no express alternative on the outer margin of Paris; but one would still not take it all the way, especially since there is a forced transfer at Porte de Vincennes. But T1 and T2 have better RER and Transilien connections. The high density all along these routes, and not just at widely-separated key junctions, ensures that there is high demand even on short segments. In fact, there is circumstantial evidence that T1, T2, and T3 have extensive short-range ridership: their ridership levels per kilometer are very high (respectively 11,000, 12,000, and 15,000 per weekday), and if they had low turnover they would not have capacity for such high ridership. New York has 15,000 weekday subway riders per route-km, and this is with long trains, extensive four-tracking, and higher peak frequency than on the Parisian tramways. It’s hard to imagine comparable ridership levels on a surface tramway without very high turnover, which I have in fact observed riding T3. In contrast, I saw relatively little turnover between Wimbledon and East Croydon on Tramlink. I saw some, generally involving a small net decrease in passengers on the tram at the first few stations past Wimbledon, but a large proportion of passengers who got on at Wimbledon stayed on until Croydon. To them, the tram is perhaps a slower but cheaper alternative to mainline rail. Some would also ride until one or two stations before East Croydon, within the built-up cluster of Croydon; perhaps their exact destination was closer to one of these tram stations than to East Croydon, where the tram loses a lot of time due to circuitous street running. Reinforcing the importance of turnover, the tram was crowded. I took it at 4:30 in the afternoon, on the shoulders of rush hour, and it was standing-room only for my entire trip, with considerable crowding among the standees for the first few stations. And yet, despite the crowding, ridership per kilometer is a fraction of that achieved by Paris’s top three tramways, which do not appear more crowded. I wrote about turnover in the context of Vancouver buses, talking about patterns of development along north-south arterials (Main, Fraser, and Commercial) versus east-west ones (King Edward and 49th). Here we see how it interacts with development on a circumferential tramway within the context of a rapid transit network with fast radial lines. It’s common in a large city to have strong demand for circumferential transit but not so much that full rapid transit is justifiable, leading to tramway networks such as Tramlink and the tramways of Ile-de-France. In this context, it’s important to attract short-hop ridership and not just end-to-end ridership, where the tramway would struggle with the radial rapid transit network. This in turn requires the region to ensure that the intermediate stops generate ample ridership, which requires either uniformly high density (as is the case in and around Paris) or a deliberate effort at TOD in the middle. This is true for more than just tramways. The fundamental fact about Tramlink and the Ile-de-France tramways is that they are slower than their respective cities’ radial rail networks. The same fundamental fact is true of circumferential buses, even in cities where the radial rail network is light rail rather than rapid transit. In theory this could even happen in an all-bus city, provided the buses’ right-of-way quality were such that the radials were faster than the circumferentials; but in reality this is hard to arrange, since buses get stuck in traffic even when they’re BRT, and there’s more traffic near city center than outside. Classical economics asserts that if two countries freely trade, then both gain relative to a baseline in which they don’t trade. The classical theory of comparative advantage hinges on reciprocal free trade. But more recently, economists have begun to push for entirely domestic support for free trade, arguing that reducing trade barriers is good even without reciprocation. The arguments involve corruption and misallocation of capital coming from protectionism. Whatever criticism there may be of this neoliberal conception of trade, rolling stock appears to be an example in which this conception is right. I have previously criticized informal French protectionism in high-prestige procurement for blowing up Parisian rolling stock costs by a factor of almost 2. In Paris, my example of what could be done with the money Ile-de-France Mobilités is wasting on rolling stock was infrastructure construction, justified by the city’s very low construction costs relative to ridership (if not relative to route-length). But there’s an even better set of examples of high costs in the United States, justified on labor grounds and yet involving wastes of money disproportionate to the number of jobs created. Last month, The American Prospect published an article about a union push to have more US rolling stock made in America, by unionized workers. The TAP article talks about a light rail vehicle order in Los Angeles for $890 million, for what the article says is 175 cars and what manufacturer Kinki Sharyo and other industry sources say is 235 cars, built at a dedicated factory in the Los Angeles exurbs. The purpose of the article is to advocate for more protectionism for the sake of American union members, so it details the wages the workers are making (about $20 an hour, up from $11 for unskilled jobs elsewhere) but does not delve into comparative costs. It’s worth asking if the costs are competitive, and the answer is that they are not. In Bordeaux, a recent Citadis tram order cost $80,000 per meter. In Strasbourg, the Citadis cost $95,000 per meter. In Avignon, the Citadis Compact cost $95,000 per meter. In Aubagne, the Citadis Compact cost $100,000 per meter. In Budapest, an order for Urbos trams cost $95,000 per meter. In Birmingham, the launch customer for the Urbos, they cost £2 million per unit, and at 33 meters per car, it’s around $90,000 per meter. In Luxembourg, the Urbos cost €3.95 million per unit, each at 45 meters, or $110,000 per meter, and include catenary-free operation. In Munich, the launch customer for the Avenio, the trams cost $120,000 per meter. In the Hague, the Avenio cost $90,000 per meter. The shortest trains on this list (the Citadis Compact orders, at 22-24 meters) are in the middle of the pack, so it’s unlikely there’s any nonlinearity in cost; moreover, the Compact is slightly shorter than the Kinki Sharyo trains, so no extrapolation is required, only interpolation. The LACMTA order follows another premium-priced light rail order in the same state: as I wrote in the Bay City Beacon last year, Muni Metro’s Siemens LRV order cost about $4 million per 23-meter car, about $170,000 per meter of train length. The trains are being built at a new plant in Sacramento. The United States has federal Buy America laws, requiring federally-funded contracts to buy domestic products provided they cost no more than 25% more than equivalent imports. However, there is no in-state purchase requirement. Owing to large New York City Subway orders, some vendors have long-established plants near New York (Kawasaki and Alstom are in-state, Bombardier is in Vermont). However, under informal pressure from activists within California to provide good local jobs, LACMTA asked bidders to open local factories. Moreover, Siemens most likely placed its plant in Sacramento rather than in lower-cost states in order to curry favor with state-funded orders. We even see the same problem in Massachusetts, where CRRC opened a plant in Springfield for an MBTA Red and Orange Line car order. The order itself does not come at a premium – according to Metro Report the base order is about $100,000 per meter of train length and the option is $115,000, and the range of per-meter costs for subway trains is the same as that for LRVs – but it’s possibly a loss leader to help establish CRRC as a player in the American market. Even before Trump’s election, Congress investigated the order, which beat the competitors by a large margin; the competing bids were about $135,000 per meter for the base order. It says a lot about Massachusetts’ broken procurement that it takes a loss leader just to get costs down to their international levels. Nonetheless, the US premium does appear to be smaller for large subway orders than for small and medium-size LRV orders, since the extra costs of siting and setting up a factory are spread across more units. The explicit goal of local content requirements is to create jobs. This is usually justified in terms of inequality and bleak prospects for unskilled workers. However, there is no cost-benefit calculation involved in this. According to TAP, the LACMTA order is creating 250 jobs manufacturing the trains; it doesn’t say how long they will last, but the duration of the contract is about 6 years. But the premium, about $300 million, works out to $1.2 million per job, a large multiple of total compensation to the workers. The Springfield plant has 200 jobs paying $50,000-60,000 per year, lasting 7 years across more than just the Boston contract; pro-rating to the Boston contract’s share of orders from the plant, the jobs will last around 5 years. Adding back the premium charged by the competing vendors raises the cost to $1 million per job, again a multiple of total working-class compensation. There are two reasons why labor protectionism costs so much compared with its direct impact on working-class hiring. The first is leakage: much of the premium goes to management, including factory design and construction, or is just wasted on inefficiency (CRRC is opening a second American plant, in Chicago, instead of building everything at one plant). Some of the money goes to foreign consultants with the vendor and some stays domestic, but the domestic leakage goes to sitework and not to direct hiring. The second reason is corruption and degradation of institutions. When the goal of public procurement is not just to buy the best product in terms of cost and quality, lobbyists make demands, like local hiring, that corrupt the process. A city that signals that the only things that matter are cost and quality will attract vendors who make the best bids in terms of cost and quality; a city that signals that the process depends on local political needs will attract vendors who make bids in order to satisfy local political actors, who as a rule don’t give a damn about good transit. Thus American agencies buy trains at a premium well beyond Buy America’s 25% limit, just because they think of cost and quality as just two of several political priorities and not as the sole legitimate bases of choosing a bidder. The United States leads the world in higher education costs. The unsubsidized cost of a college degree at a good public university is about $100,000; at CUNY, which provides a good quality of degrees even if it’s so underfunded that classrooms aren’t supplied with chalk, it’s about $75,000. Stipends at the level of a good graduate program add another $30,000 or so per year. For around $200,000 per person, California could send low-income workers to college and pay for their living expenses for the duration of the degree, whereupon they will be able to get unsubsidized jobs paying much more than $20 per hour. For workers who can’t go to college, trade school is another option, offering decently-paying jobs for much lower cost since they take much less time. There is no need to lade the transit capital budget with what should be state or federal retraining grants; given the massive difference in cost, even the loss of matching funds (i.e. other people’s money) can leave the state or the city better off. The problem is that there is no political incentive to think in such terms. Part of it is the corruption of institutions, as I mentioned already: labor groups see an opportunity to create jobs from a budget that from a local perspective is other people’s money. Another part is political prestige: romantics like old jobs (farmer, builder, truck driver, coal miner, baker, factory worker), which have had enough time to percolate into the national psyche, and since these jobs are old, they’re likely to be at the low end of the value-added ladder. Absent very strong rules forbidding protectionism in procurement, this corruption will continue: evidently, Paris insists on buying expensive bespoke trains and somehow manages to get them manufactured within France, even though EU rules against interstate dumping are much stronger than US rules. Rules at the highest level are required to discourage such behavior (although Paris might still waste money on bespoke trains, just ones that can be made in Poland). Congress can and should stop funding any local or state agency that takes in-state content into account in procurement; the US is one democratic country, not fifty mercantile fiefdoms, and should use its status as a superstate with a large internal market to universalize good governance.